Self-diagnosis. We are all familiar with it and we have probably all engaged in it at least once or twice. But how does self-diagnosis impact on those who have either been diagnosed with or are clearly suffering from a mental health disorder, such as Dermatillomania? This is a topic I feel compelled to write about, it is a controversial one none the less but I feel that someone has to give this topic a voice. As a Dermatillomania awareness advocate I come across and converse with many derma sufferers on a daily basis. Mostly what I see is upsetting – people caught in the grips of an illness that is literally tearing their lives and skin apart, then there is the occasional hopeful story – those who say they used to suffer from the illness but now have it beat (I always wish there was photographic proof for these stories though as I am a bit of a sceptic); and finally there are times when what I see confuses and deeply upsets me. By this I mean those who say they are suffering from Dermatillomania and yet I can’t see any scars or marks on them. Then I find myself wishing that my derma could be that mild [edit: as physically mild as theirs] so I too could experience what it’s like to wear tank tops, shorts, go without makeup, or even wear a bikini! In fact I don’t even own said swimwear. The last time I went swimming was 11 years ago when I was 14 years old. I lived in a very hot and humid coastal town, so avoiding the water was near impossible, it just came with a sideline of questions and bullying. What I would have looked like if I wore a bikini – 2009. Now as a Dermatillomania sufferer I am well aware of the tips and tricks one can take advantage of to hide the damage we do to our bodies, including Photoshop, taking photographs from certain angles, experimenting with different kinds of lighting, wearing certain types of clothing and picking only in certain areas. I am also well aware that Dermatillomania is a condition similar to physical illness, in that the sufferer can go through periods of remission, a word most commonly associated with cancer but it refers to the period of time during a serious illness when the patient’s health improves. I experienced remission when I was 17 years old to the point I almost considered myself recovered, although I did still pick every day even if it was only at a handful of hidden spots. Then I went through similar incidences of remission again when I was 22 and 24 although I relapsed in both instances within a matter of months. My skin-picking also decreases during winter when I have less opportunity to pick at my skin due to the fact it is always comfortably covered by jeans, jumpers, scarves, etc. And because I am not standing out as the only person wearing pants and long sleeves (as I do in the warmer months of spring and summer) I find that I fit in to the wider community a lot more which lessens my stress, depression and anxiety which in turn decreases how often I pick. So keeping all of this in mind I understand that I may be making judgements on people who are in remission; however if this is the case then it is helpful to state that you are in remission when discussing Dermatillomania with other sufferers so they don’t feel upset or confused by how flawless your skin looks in comparison to theirs. This is something that I learnt when I was in remission interacting with other sufferers and I found myself having to explain that I really did know how it felt to have severe Dermatillomania. 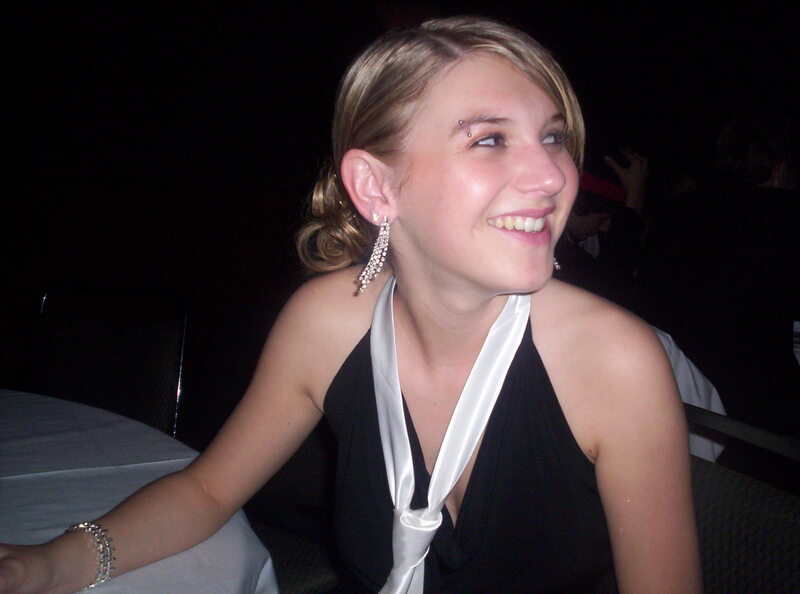 In remission – year 12 school ball 2006. When I was 19-21 years old, my Dermatillomania reached its most severe point and thankfully it hasn’t been back there since. I was that disabled by my condition that I NEVER left my house without assistance and only then it was to force myself to do the grocery shopping in order for me to feed my son. I could not even walk to my letterbox, I could not put my bins out on the verge, I could not even open my front door to put rubbish in the bin, I would not open my front door to anyone and I would not even hang the washing out in my own backyard for fear of being spotted by a neighbour. My curtains and blinds were always drawn shut – I lived in complete darkness for more months than I can count! My only regular interaction with others was with mental health professionals, social workers and family support workers. I was that disabled by Dermatillomania I needed encouragement to walk outside of my own house because I felt as though my legs were going to collapse underneath me from the anxiety of it all; and if someone did manage to convince me to leave my house I would walk with my head faced firmly down, eyes fixated on the pavement, struggling to breathe, on the brink of tears and completely lost for words. During this time of my life I would engage in 7 hour long picking sessions most nights, where I would gouge at my skin with tweezers to the point I felt physically ill. I hardly ever slept, I was constantly infected and I was inundated by suicidal thoughts. I started planning my own death and writing goodbye letters. The next day I ended up as an outpatient at my nearest mental health hospital. This is severe Dermatillomania. 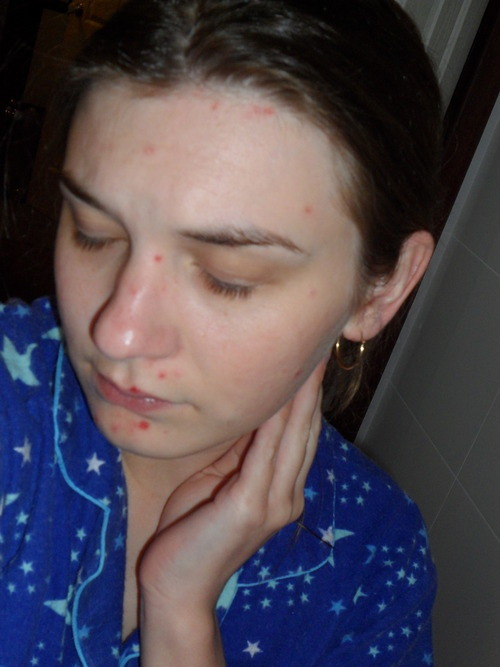 My Dermatillomania at its worst – 2009. Relapsing right before a wedding – 2011. In the DSM-5 it states that: “Excoriation (skin-picking) disorder is characterized by recurrent skin picking resulting in skin lesions. Individuals with excoriation disorder must have made repeated attempts to decrease or stop the skin picking, which must cause clinically significant distress or impairment in social, occupational or other important areas of functioning. The symptoms must not be better explained by symptoms of another mental disorder”. Apart from the name Excoriation Disorder, I feel that the DSM-5 has it fairly spot on so far. To be diagnosed with the condition one must have skin lesions present on their body, there must have been some desire to want to stop, it must cause clinically significant distress and/or it must cause impairment in social or occupational functioning. It also must not be better explained by symptoms of another mental disorder and I think this is the most important signifier. In some instances there seems to be a fine line between Dermatillomania and Body Dysmorphic Disorder. I say this because if one has flawless skin but believes they have imperfections on their body that are not observable or appear slight to others, then this more accurately fits BDD. 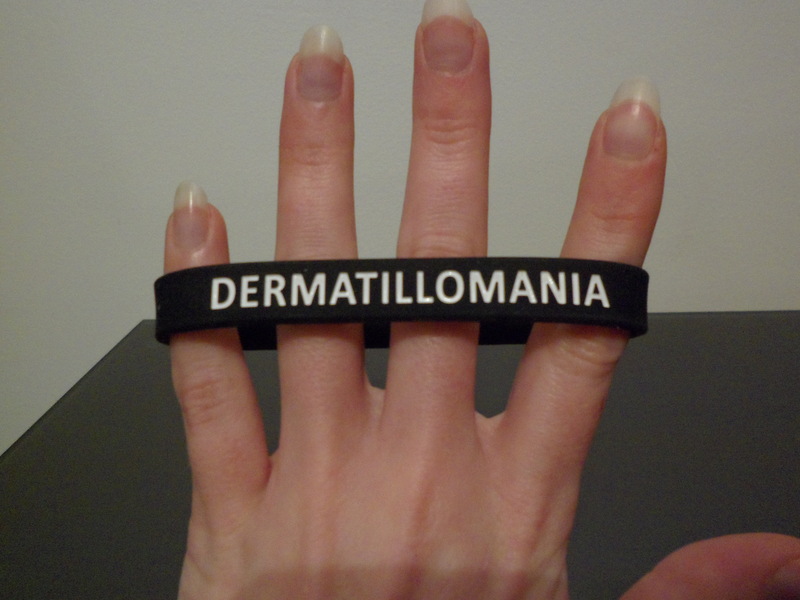 With Dermatillomania there is no doubt to oneself or others that the condition very much exists physically! This is backed up in the DSM-5 under the Body Dysmorphic Disorder Diagnostic Criteria which states that a BDD sufferer has a “preoccupation with one or more perceived defects or flaws in physical appearance that are not observable or appear slight to others. At some point during the course of the disorder, the individual has performed repetitive behaviours (e.g., mirror checking, excessive grooming, skin picking) in response to the appearance concerns”. The DSM-5 then goes on to state under the Excoriation Disorder section that although “skin picking may occur in individuals with body dysmorphic disorder who pick their skin solely because of appearance concerns; in such cases, excoriation disorder should not be diagnosed”. This brings me to my next point however and that is that the DSM-5 should include an assessment criterion which diagnoses Dermatillomania on a sliding scale as it does with depression. When my derma was at its worst I was also diagnosed with severe depression however I can go through stages now where my depression is quite mild. Then there are days when I am just sad. Sadness and depression are two different things as are skin picking and Dermatillomania. One has to be severe enough to negatively impact the sufferer’s mental health and/or their ability to function in social situations in order to be classed as a disorder. Hopefully with more research and more awareness into this disorder a sliding scale for derma might come into existence, one where it can be assessed as mild, moderate or severe. I feel this is important because some people only focus on one area (and it may be an area that one can hide) whereas other sufferers can’t help but pick at numerous areas and in places that can only be hidden when the sufferer takes great extents to do so (e.g. by wearing long sleeves and pants in summer). Also some derma sufferers are still able to maintain friendships, relationships and hold down employment whereas others are unable to function in any social situation. In order for no one person to feel isolated about living with a condition such as Dermatillomania, it is important that there are different ways to describe the severity of the disorder, ones that are backed up by thorough medical and psychological research. In a world where Dermatillomania is only just starting to be recognised in the medical and psychological field, I understand that many sufferers self-diagnose because they feel that there is no other option for them. I self-diagnosed 5 years ago when I first found information online about this disorder but I then brought that information to my doctor and the psychologist I was seeing at the time in order to receive a proper documented diagnosis – albeit they have spelt Dermatillomania wrong on my file! Whilst self-diagnosis can be helpful, it is only a stepping stone in a greater journey towards clinical diagnosis, treatment and then hopefully recovery. The reason being is that when self-diagnosing ourselves with disorders or illnesses, whether they be physical or mental, we can sometimes get it wrong or be quick to label a habit something more serious than it actually is. To put this in perspective: I often pluck my eyebrows, sometimes I over pluck them in my desire to shape them perfectly, I will also pull stray hairs from my chin or upper lip, and if my hair is done up in a style and I notice some are out of place I will pull them too. I occasionally pull hair but I do not have Trichotillomania or Trich. My hair pulling is nothing out of the ordinary and does not cause me any distress or social embarrassment. Everyone picks at their skin. This is normal. Many people even take pleasure in popping pimples or satisfying an itch. This is also normal. What is not normal is when you do not know how to stop and when you keep going to a point that it causes you significant distress and/or impacts on your ability to function socially. So please keep this in mind when self-diagnosing, as a wrong diagnosis can have a detrimental effect on both yourself and those suffering from the mental health disorder in question. I don’t want Dermatillomania to be misunderstood more than it already is or to be made out less serious than it actually is – this disorder has the potential to put a sufferer in a life threatening situation and this is why I am so passionate about spreading awareness, however controversial it may be. Getting better – December 2013. About three months ago I put a plan in place to stop picking by my 25th birthday. In 1 minute, I will be 25 years old and my picking is the worst it’s been all year. That photo is of me on Friday night… I spent my night picking for hours on end to the point I felt physically sick to my stomach and that depressed I contemplated suicide. My back is on fire. I have a weeping open wound in between my shoulder blades that just won’t heal and I can feel it burning. All the skin around it is red, raised and hot to touch. My face is stinging and my arms and legs are covered in band-aids. I haven’t felt this sad in a long long time. I’m 25 tomorrow. That’s 21 years living with Derma and I’m not sure I can do it anymore. I’m in so much mental and physical pain. I just want to cry but I can’t. I can’t handle how much this disorder has consumed my life. I feel so ill. A sign I am infected once again. Check out CBSN and the work they are doing here! It was after recently reading Laura Barton’s article in the TLC newsletter that I was reminded of a fellow Dermatillomania sufferer who chose to remove herself from the online Dermatillomania awareness/support groups due to some advice she had received from her therapist. The advice went something along the lines of “making a career out of Dermatillomania will only hinder your progress and recovery”. I remember the comment well because it immediately rubbed me up the wrong way. Not because I was disagreeing with this woman’s choice, as we all have free will, but because I strongly disagreed with the therapist’s advice or at least the wording of her advice. When I first started searching online for some clue as to what on earth it was that I was suffering from, I stumbled across maybe one or two websites that contained information regarding Dermatillomania. Obviously I was relieved to discover that what I did had a name and that apparently there were other sufferers out there too, although going back six years ago I had no means of contacting these other people. However there was a downside to discovering this new information about my disorder. My skin picking all of a sudden became sort of normalised to me and my occasional experimentation with tweezers started to become a regular occurrence for me once I read that using “picking tools” was quite common. Now I can’t have a picking session without my tweezers and will go into a state of panic if I cannot find them or if I have them taken off me. In saying all of this though, there were also a lot of positives to discovering my disorder had a name and that there were other sufferers out there like me. All of a sudden I didn’t feel so alone anymore. I also stopped feeling like I was going mentally insane – I actually had physical evidence (in addition to my many sores and scars) that what I did was a condition and I could print this proof out and give it to my psychologists and doctors. Then I started connecting with other sufferers online and the sense of community and the strong friendships that formed as a result of this broke my life of isolation. I was still severely depressed but I started to feel hopeful. I also started to feel for the first time in my life like I had a purpose and that there was a reason I was given this disorder. I wanted to help others! I had to help others! I started making videos and posting them online to YouTube. A wealth of people contacted me thanking me for having the courage to shed much needed light on this condition. From there I realised that I needed to create a place where sufferers could connect with one another, share their stories and break their isolation and so my Dermatillomania Support Group on Facebook was born. Unfortunately my battle with severe depression reared its ugly head again and so I disappeared offline for a few years. Upon my return I noticed numerous groups, blogs and YouTube videos had popped up about Dermatillomania. It was so fantastic to see that the word was out and my desire to start spreading awareness came back with a vengeance. In Australia, we are not fortunate enough to have a wonderful organisation like TLC or the newly formed CBSN running. In fact Dermatillomania, and to an extent even Trichotillomania, are still relatively unheard of here in the land down under. Doctors and psychologists are still mostly unaware that this condition has a name (or even exists) and I constantly struggle to find treatment professionals who are experienced in helping those suffering from BFRB’s. Something has to be done about this! And this is why I have chosen to start spreading as much awareness as I can. I blog, post videos and write in support groups not only to help others but to also get the word out there that we have a condition that needs much needed attention in the forms of research, education, public awareness and treatment. Too many people are suffering in silence and that is no way to live. 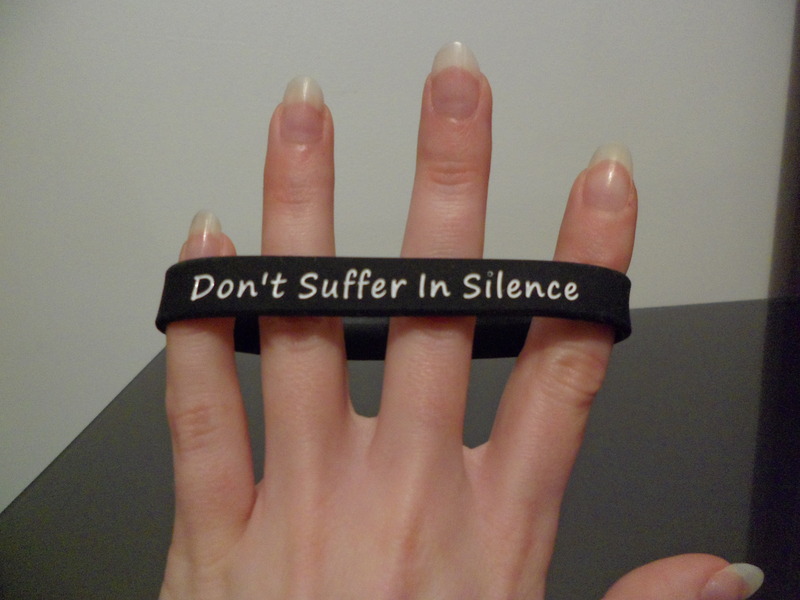 We need to break the silence and the stigma surrounding BFRB’s, such as Dermatillomania. I blog, vlog, create support networks, run my own website, fundraise and hope to start up a not for profit organisation here in Australia not because I want to make a career out of Dermatillomania but because I don’t want others to have to suffer in silence like I did for 16 years of my life. This is something I do because I am passionate about the cause and I am passionate about the people who are affected by this disorder. I do not get paid for the time and effort I put into spreading awareness and it also has not hindered my progress or my recovery. In fact it has helped me! Depression is often a comorbid disorder to Dermatillomania and one way of helping depression is to feel once again like there is a reason/purpose/meaning to your life. Becoming a Dermatillomania awareness advocate has made me more accountable of my actions, has decreased my skin picking and has made me a happier and more focused person. I understand that for some living in one’s illness can be dangerous but I think it is important to distinguish the difference between being passionate about something, in this case raising awareness of Dermatillomania (not exactly making a career out of it), and living and breathing Dermatillomania. I have come across the former and the latter in regards to sufferers of mental illness. The latter will spend every minute of their free time reading books, articles and blogs on their illness, making friendships with only those who suffer from their illness, carrying on conversations only about their illness, they may also to choose to study their illness at higher education institutions and/or choose to make a career out of treating people with their illness (e.g. by becoming a psychologist). This is unhealthy because their focus is always on their condition and not on anything else. They quickly and easily become consumed by their negative state of mental health and the more one devotes attention to something the more that something usually becomes amplified – in the case of Dermatillomania, the more one focuses on skin picking the more one tends to pick. However when talking about the former, there is nothing wrong with wanting to learn a little bit more about your condition and the reasons why you may do what you do. It is also perfectly natural to want to connect with others and share your stories. Quite a few Dermatillomania sufferers have either already written, started to write, or plan to write books of their own that document their struggles and their successes with Dermatillomania. Everything in life is about balance. Take stress for example – too little stress in your life can leave you feeling bored, lethargic and unmotivated whereas too much stress in your life can lead to nervous breakdowns and other serious health issues such as heart complications. The optimal amount of stress in your life will allow you to perform tasks without becoming overwhelmed by them. The same can be said about Dermatillomania – too much involvement in the condition may cause you to only focus on the skin picking therefore amplifying the behaviour but too little involvement or no involvement at all can leave you feeling isolated, depressed and confused. And this is why I worry about that particular therapist’s advice – what if she has turned a sufferer away from the only support network she knew? What if this sufferer had great plans for her book and it could have reached thousands of other sufferers, further breaking the stigma and silence that surrounds this disorder? I for one don’t spend hours on end reading current research on Dermatillomania and BFRBs… I’m studying to become a teacher not a psychologist after all! Neither do I sit in front of my computer all day trolling the internet for Dermatillomania articles/blogs/websites, etc. I study full time, have a part time job and a six year old child to look after so as much as I wish I had a little more time to devote to the Derma community, I sometimes struggle to even squeeze in a bite to eat! However on the rare occasion I find myself with some spare time I always choose to contribute something towards the Derma cause (lately this has been in the form of creating awareness wristbands) because Dermatillomania is of personal interest to me and I want others to know more about it. I don’t however sit there and let it consume me, intent on making a career out of it. I simply want to let other people know that our condition needs to be taken seriously so we can get the proper psychological and medical help that we need… if that means I spend my spare time making as much noise about Dermatillomania as I can then so be it. Some people knit, others play a sport, I prefer to scream and shout! And who knows one day I might even write a book about it but I’m sure that will be in between marking papers and changing diapers! I guess after all that the point I was trying to make was if you want to make a career out of Dermatillomania – go for it! There is nothing unhealthy about pursing something you are passionate about and if it happens to help you pay your bills on the side then that’s an added bonus. However if by focusing on Dermatillomania ALL the time by writing about it, reading about it, talking about it, you find yourself becoming consumed by Dermatillomania and this worsens your condition then this is unhealthy. This is living in one’s condition and it can hinder progress and recovery. So please if you are a therapist choose your words carefully and make sure you distinguish between “making a career out of one’s condition and/or being passionate about the cause”, compared with “living in or becoming consumed by one’s condition”; we don’t want to cut sufferers off from what may be their only lifeline. And if you have received similar advice from your therapist, take a step back, look at your situation and ask yourself honestly if your involvement with your condition has made your symptoms better or worse. Let that answer guide your future direction in relation to your condition. For example, wondering how this article will be received combined with the stress of getting the awareness wristbands up for sale has caused me to start picking at my chin and chest. In order to take care of myself I will take a step back from the cause tonight and hold off on another blog post for a while. Remember to take a step back when you need to, aim for a healthy balance, take care of yourself first and foremost and always do what’s right for you! Wristbands Are Up For Sale!! The wristbands have arrived folks (all 500 of them) and they look FANTASTIC!!!! I also set up a separate bank account today for all the funds raised from selling these. Am hoping to start selling them next week when I am on university break. 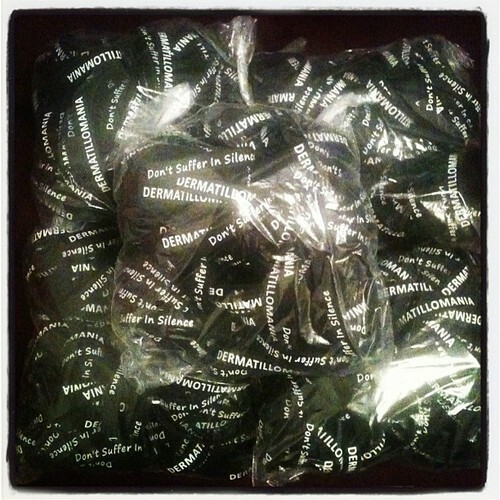 100% of proceeds will go towards continual raised awareness of Dermatillomania both worldwide and throughout Australia. Any suggestions for what you would like the money put towards are most welcome… so far I am thinking of having posters made up that can be displayed in hospitals, doctor surgeries and psychology offices – and the long term goal will be following in TLC’s and CBSN’s footsteps by starting up a recognisable not for profit organisation here in Australia as we have absolutely nothing at present. Will let you all know when these go up for sale… let the countdown begin! Also have been thinking of registering this blog as my own domain… so the web address would change. Hopefully this won’t affect anyone being able to access this site… will keep you updated on this as well! Wow so I have been missing in action for a little over a month now! Thank you all for your time and patience and for everyone who still keeps coming to my page even though I haven’t posted in a while. Life has been SUPER SUPER SUPER busy and so I feel you all deserve a bit of an explanation! I have this really bad habit (and this time it is not my Derma I am referring to) of taking on WAY too much! As well as being at university full time, I am also a single mum of a little boy who needs additional help when it comes to schooling, speech, etc. I work nights filling shelves which means I don’t get home some nights until midnight AND on top of this I am currently undertaking a teaching prac for my studies where I am working full time as a student teacher in a school for the next 2 weeks. However I haven’t stopped thinking about you all… I’ve finally paid for and ordered the Dermatillomania awareness wristbands which should be arriving in less than 3 weeks time, my Dermatillomania Support Group on Facebook has grown to over 500 members and whenever I get a spare few moments I have been compiling some Derma-related articles that will hopefully be posted on here soon. I will keep you all updated on how everything is going and will let you all know when the wristbands arrive. Thank you again everyone for your continued support! I AM Going To Beat This! I decided that I am going to shout myself a ticket to Ballet Revolucion this week and so it prompted a spur of the moment try-on-every-single-dress-I-own moment at almost 1am in the morning. I originally started trying on these dresses (of course they ALL still have their tags attached) with a pair of knitted stockings and a cardigan. Then out of curiosity I wondered what they would look like without the arms and legs covered up. And you know what… it actually gave me a confidence boost! 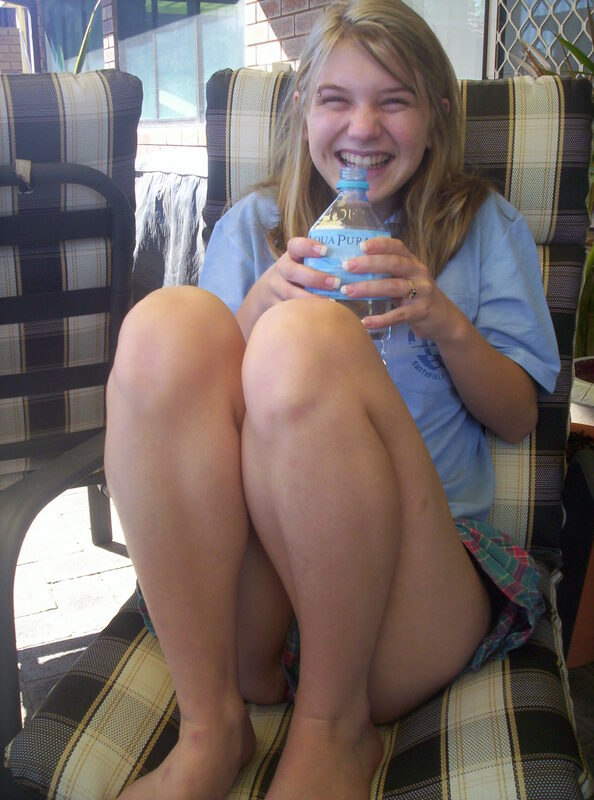 Yes my legs are scarred, scabby and covered in bandaids at the moment. But so what! I am sick and tired of hiding! I am SO OVER being this shy insecure girl when all I really want to do is go out and have FUN without a care in the world! I am done covering up! I am done making excuses! I have had enough! This Summer I WILL wear whatever the hell I like whenever the hell I feel like it. And I will go to the beach. And I will hit up the nightclubs. And if someone has a problem with the way I look… then that is THEIR problem… NOT MINE!! It’s funny how such a little thing can trigger an epiphany. I only have one skin and I have been choosing to wreck it. I don’t know why. I may never understand why. But this is all I have. This is all I am ever going to have. So I bloody well better start taking care of it. I am almost 25 years old… I should be having the time of my life. I should be comfortable in my own skin. I should love who I am. And so starting now I AM going to have the time of my life, I AM going to choose to be comfortable in my choice to be comfortable and I AM going to love who I am!